Finely crush the biscuits and melt the butter. Mix the butter and biscuits together and press into the bottom of the tart or spring form pan to form the crust. Place the pan in the refrigerator while preparing the filling. 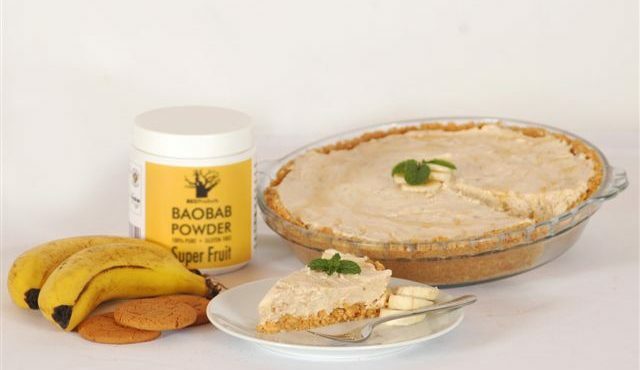 Mix baobab powder, condensed milk, lemon juice, cottage cheese and mashed bananas together in a bowl with an electric beater or by hand. Beat cream and fold into the baobab mixture. Pour the filling over the biscuit mixture in the pan and return to the refrigerator for another hour or until ready to serve.